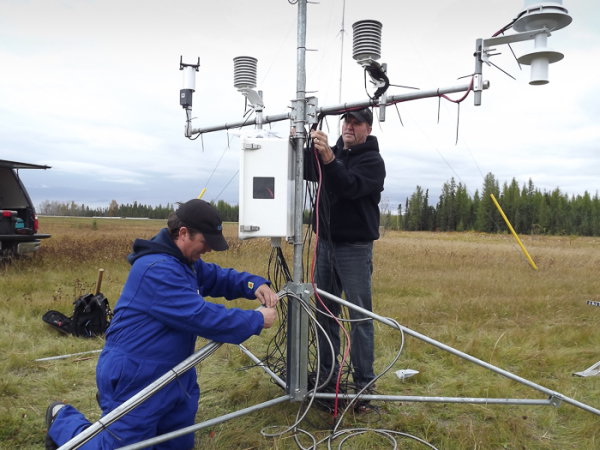 Over the past years, Campbell Scientific Canada (CSC) has observed that due to dwindling resources, some clients are facing challenges to collect and store data, as well as carry out critical annual maintenance on their stations. In response to these challenges, we have launched our own Field & Data Services group. This service is led by our former Sales Manager, Greg Kalmbach, who brings 20 years of experience in the field of data acquisition and environmental monitoring. CSC has over 30 years of experience installing and maintaining stations throughout the country, and like you, we understand the link between regular station maintenance, longevity of equipment, and annual comparable data. Because it’s not just about collecting the data; it’s about making the highest quality measurements year after year!